2 Incredibly Useful Recipe Apps - What's Your Temperature? Gone are the days of scouring through cook book after cook book looking for that perfect recipe, only to find out you don’t have half the ingredients anyway. Now getting help in the kitchen is as easy as touch of the screen. 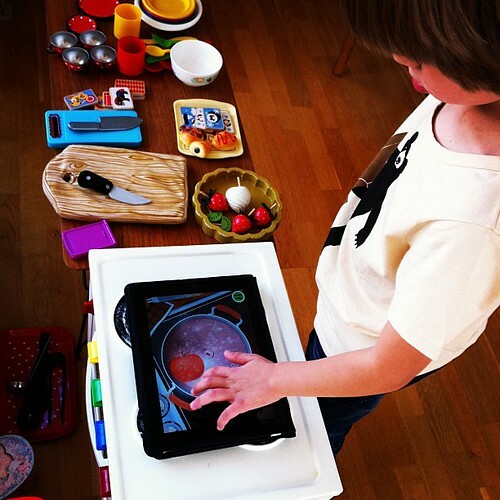 Thanks to the number of cooking and food apps, anyone can create their own culinary masterpiece. Foodies can use these apps for just about anything, find new recipe ideas, make shopping lists, or browse how to videos. With the wealth of information available, anyone can be a gourmet chef. How to Cook Everything is a convenient recipe app that is based on the bestselling book of the same name. Along with cooking assistance, New York Times columnist Mark Bittman provides over 2,000 recipes as well as how-to illustrations for many dishes. This app features a number of handy tools such as built in recipe timers, recipe note tabs, and measurement conversion tools. Additionally, How to Cook Everything even has a shopping list feature that allows you to make, add, and print customized grocery lists. Cook like a pro while never running out of meal ideas again! For those who have always wanted to Go Vegan! The Go Vegan! App is a comprehensive guide to an animal free diet. Bestselling vegan cook Sarah Kramer presents an informational guide to the vegan lifestyle that includes recipes, tips, how to guides, and videos. The app features over 60 recipes that provide a vitamin rich diet while also ensuring you abstain from the use of animal products. In addition to recipes and videos, the Go Vegan! app also has a customizable shopping list for all your favorite Vegan foods!